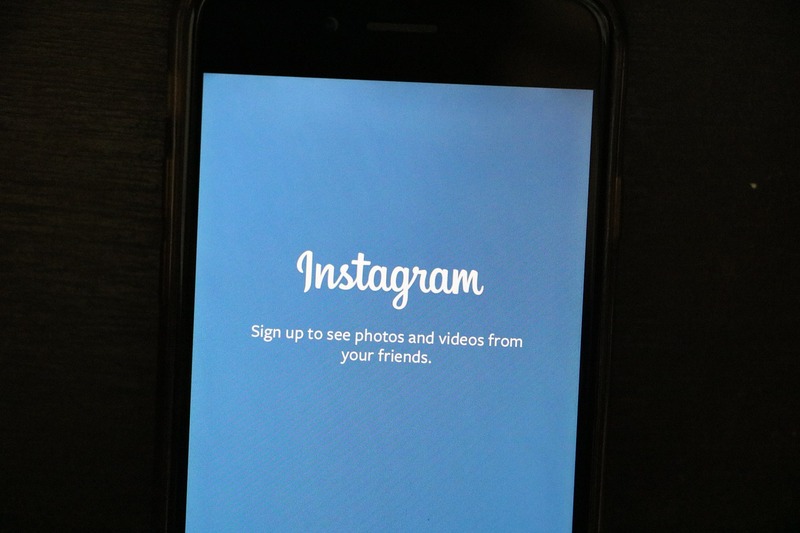 Instagram is a popular app to share photos and short videos with friends and followers. There is no option to share the music in Instagram. 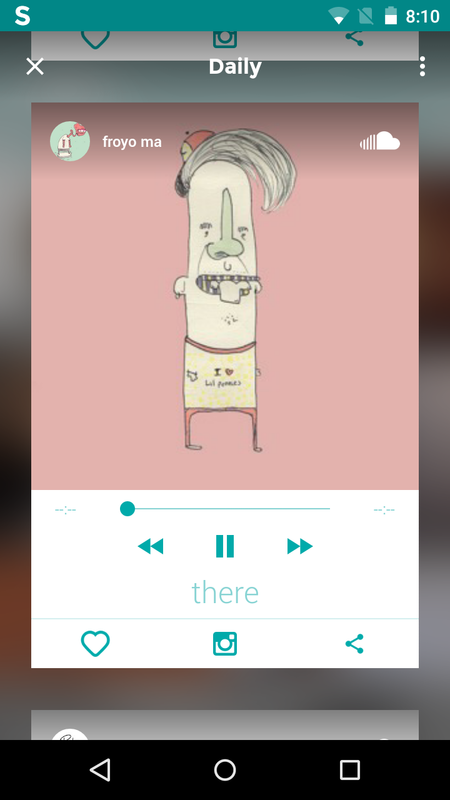 But there is a nice app ‘Sounds’ for Android, which lets users share music on Instagram. In this app, you can search music of any artist or band and then share on Instagram. Sounds app is basically a kind of music streaming app which also gives an option to share music on Instagram. Use of the app is very simple and straightforward. Just install Sounds app on your Android devices. After installation, open the app and start discovering music. When you tap on music, it will open the card for that. Swiping up or down will change the card to different music. If you want to share music on Instagram, you need to click on the Instagram icon at the below side of the card and then select ‘Share on Instagram’. It will take time in preparing the music before sharing it on Instagram. Once it is doen preparation, it will ask you to share. Tapping on the share will open Instagram to share the music. 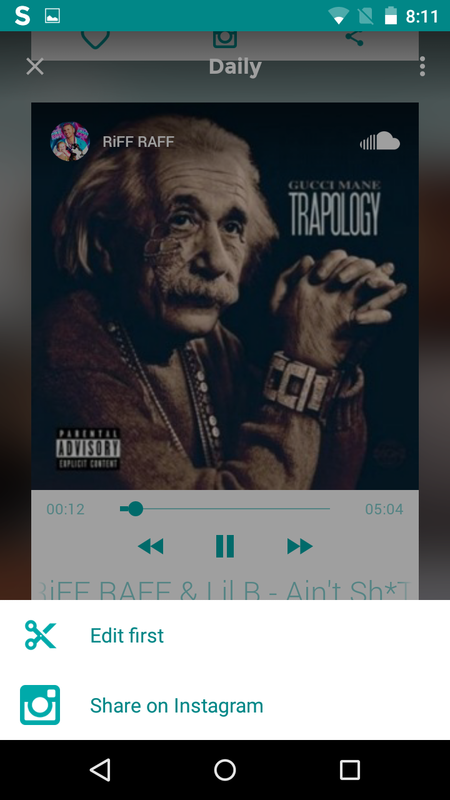 Prepared music will also be saved in your smartphone gallery. This was a nice app ‘Sounds’ if you want to share music along with photos and videos on Instagram. You should try this and surprise your friends. If you face any kind of trouble while using this app, do not forget to comment below. I will try to answer as soon as possible.